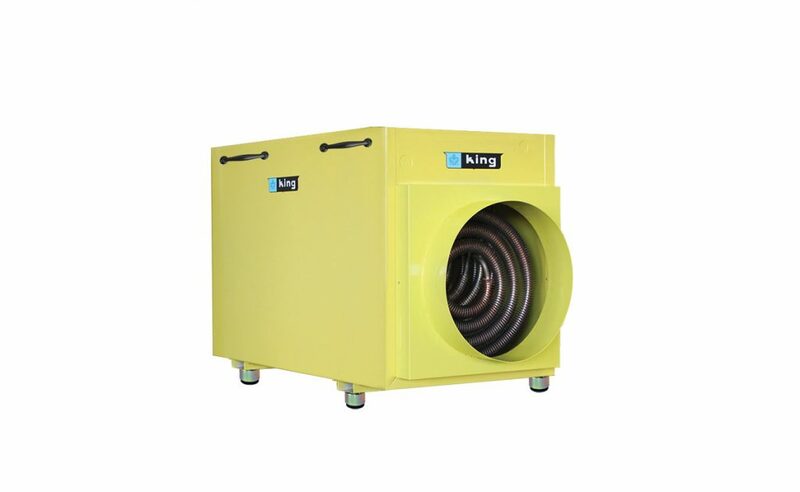 The King PCK “Yellow Jacket” Industrial portable unit heater is constructed to hold up to the rigorous demands of a jobsite or industrial facility. 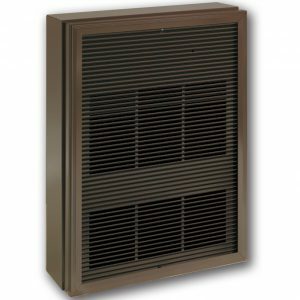 This unit heater is the very BEST heat source to assist in complete “Dry-out” applications, where dry electric heat is preferred to propane or kerosene space heaters. In addition, electric heat omits absolutely no odor, flame or carbon monoxide. 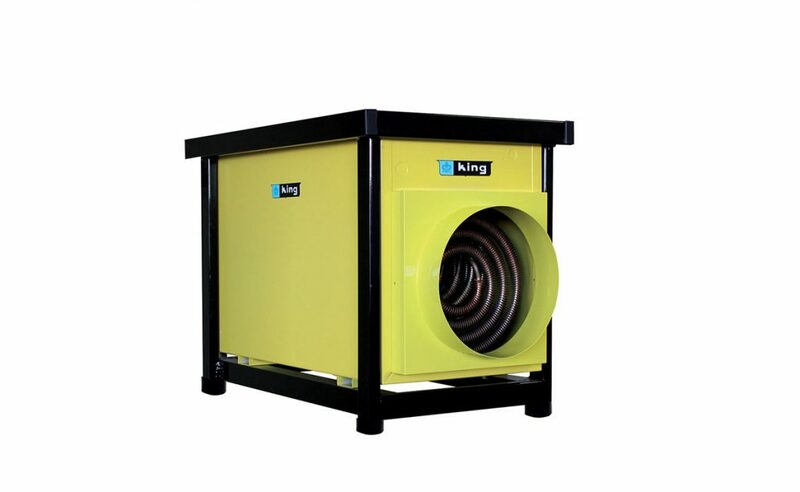 The high CFM and moderate temperature rise are also key features to make this unit heater the very best solution for temporary large capacity heating and dry-out applications. 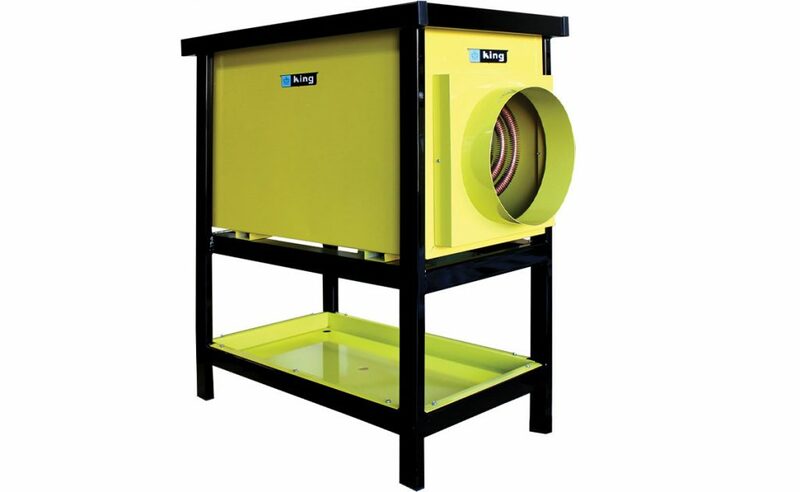 Comes standard with a 12″ collar for adding a flexible duct to extend the heated air to where it is needed. 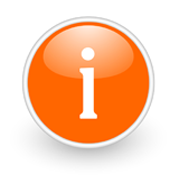 The -IF (Industrial Frame) complies with the FAA’s Airport regulations of 18 inch above the ground for air inlet of the heater to reduce the jet fuel vapor being drawn in. 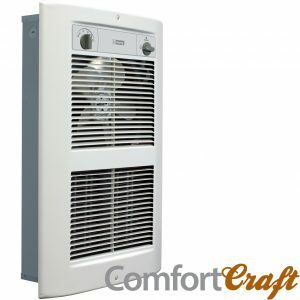 An Outdoor rain proof rating can be added to the portable unit heater by adding the -OR (Outdoor Rating) to the Model number. 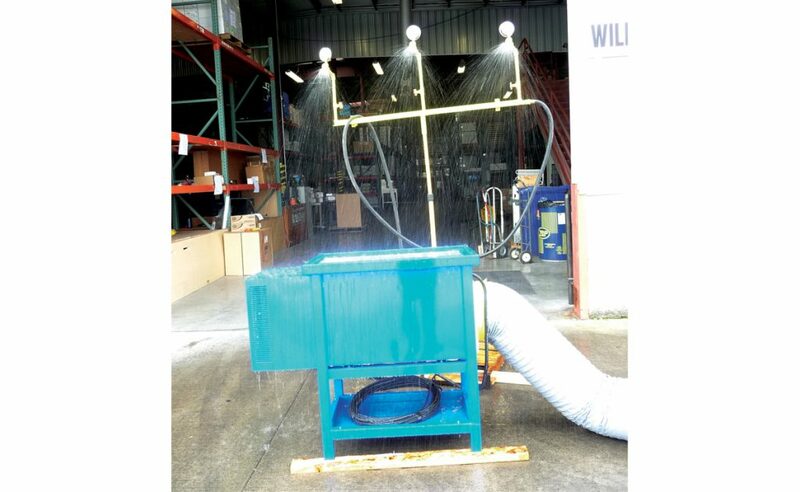 This will allow you to place the heater outside in the rain and feed heated air into a building structure, plane, container, apartment, ship or any work area requiring heated dry fresh air and not take up space in the work area. The -OR option adds an intake rain baffle and electrical compartment rain cover and is UL approved for Outdoor Use. Many options are available. We can build one for your application. A Warm Worker Is An Efficient Worker. Fight mother nature with portable electric heat. A study from Cornell University revealed that increasing the working environment temperature to warmer thermal zones can save employers significant money by reducing errors and improving employee focus. When one company increased working temperatures by less than 10°, the productivity gains amounted to saving 12.5% of their wage costs per worker. Better Safe Than Sorry. Dry-Out Fast! 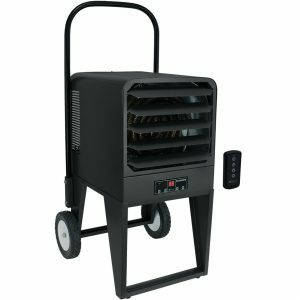 This unit heater is the very BEST heat source to assist in complete “Dry-out” applications, where dry electric heat is referred to propane or kerosene space heaters. In addition, electric heat omits absolutely no odor, flame or carbon monoxide. Constructed to hold up to the rigorous demands of a jobsite or industrial facility. The high CFM and moderate temperature rise are also key features to make this unit heater the very best solution for temporary large capacity heating and dry-out applications. 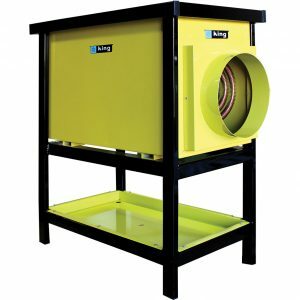 Comes standard with a 12″ collar for adding a flexible duct to extend the heated air to where it is needed. 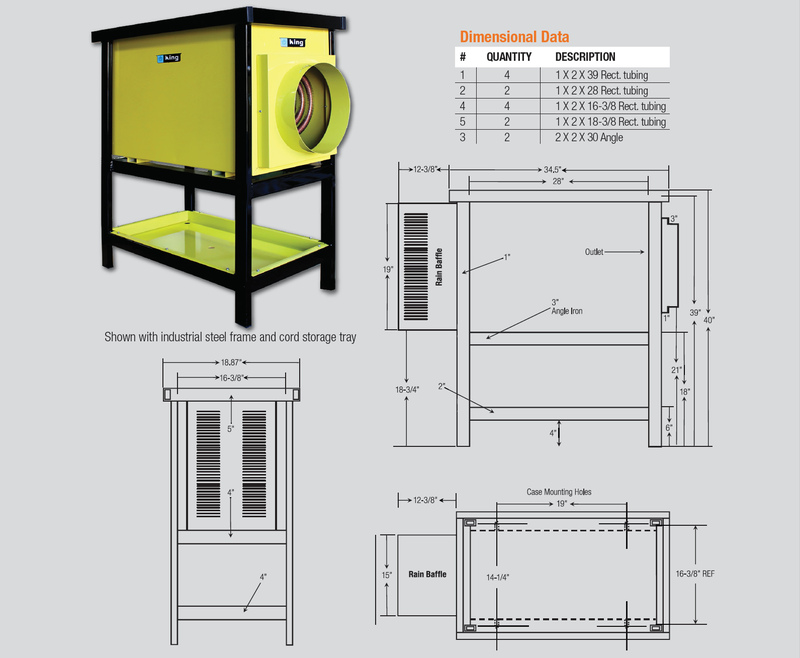 The -IF (Industrial Frame) complies with the FAA’s Airport regulations of 18 inch above the ground for air inlet of the heater to reduce the jet fuel vapor being drawn in. An Outdoor rain proof rating can be added to the portable unit heater by adding the -OR (Outdoor Rating) to the Model number. 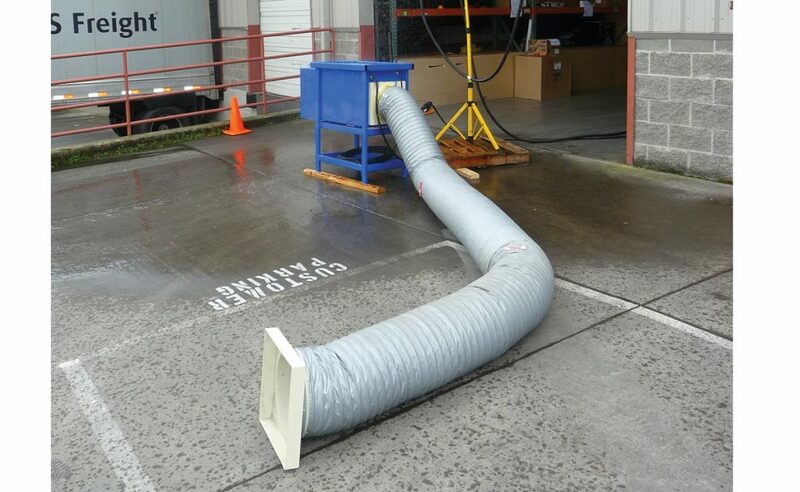 This will allow you to place the heater outside in the rain and feed heated air into a building structure, plane, container, apartment, ship or any work area requiring heated dry fresh air and not take up space in the work area.